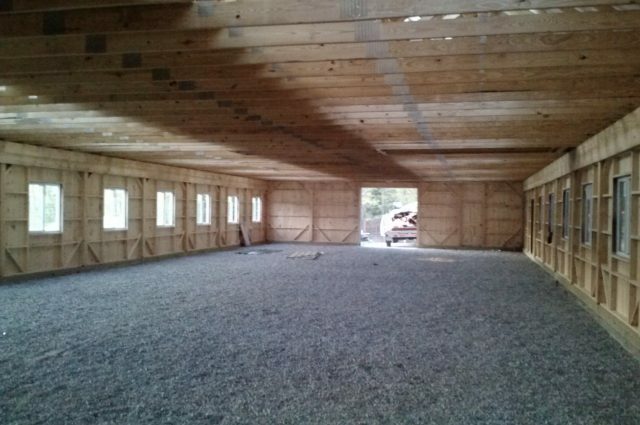 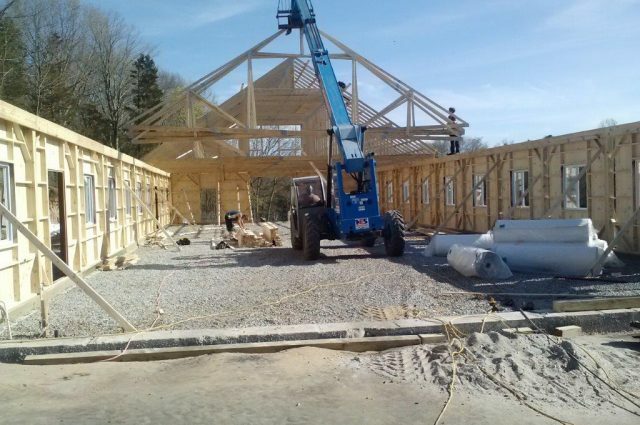 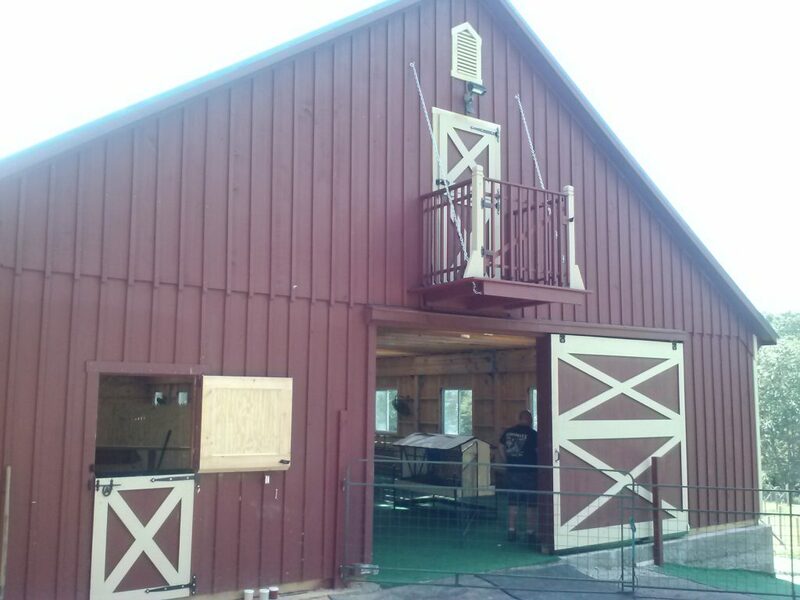 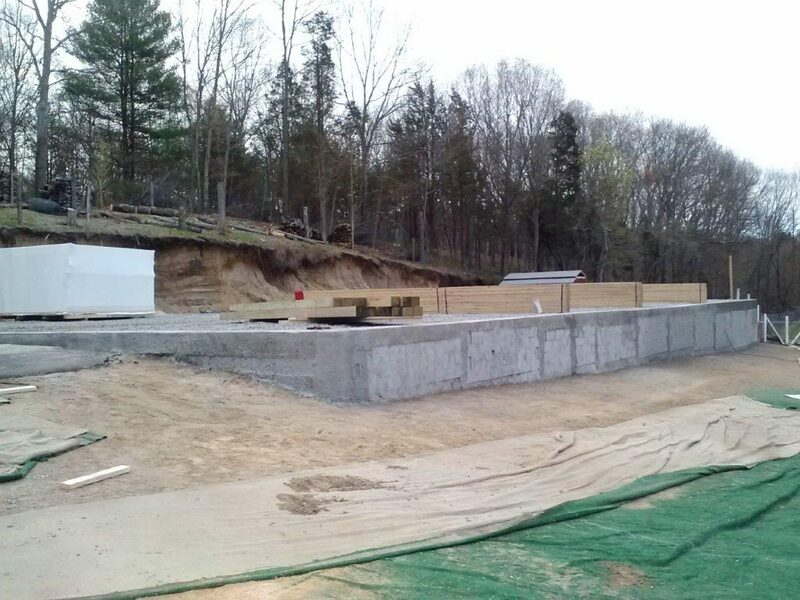 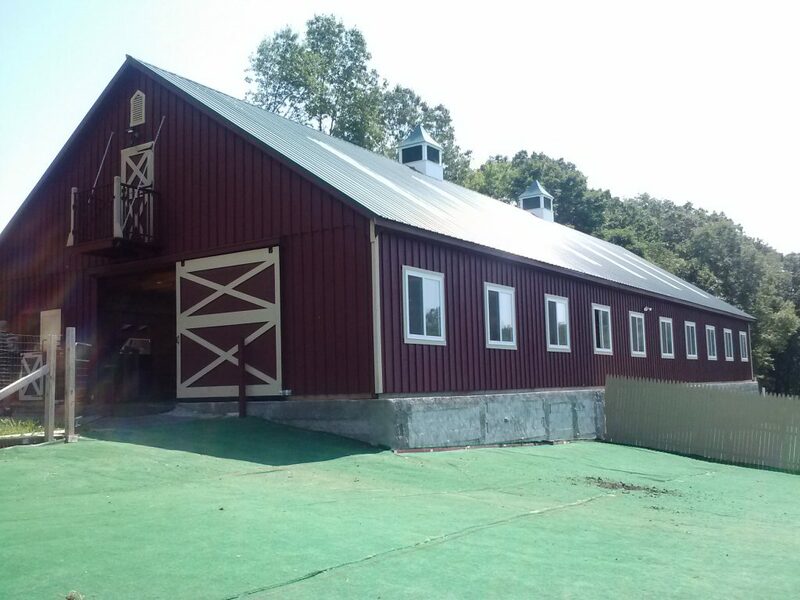 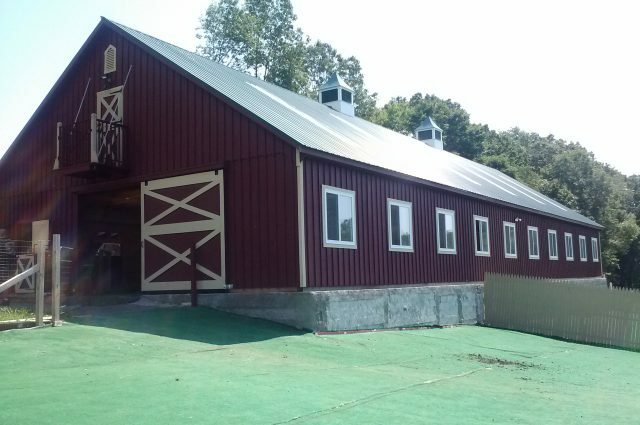 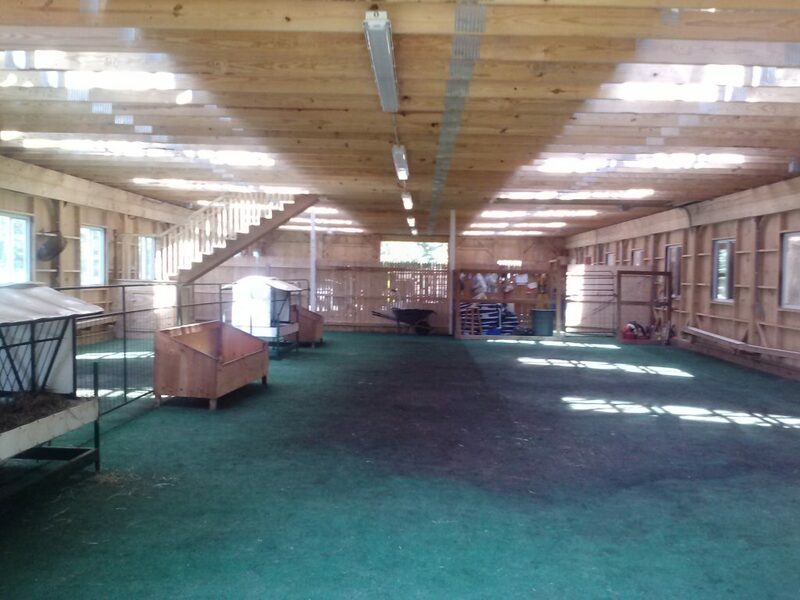 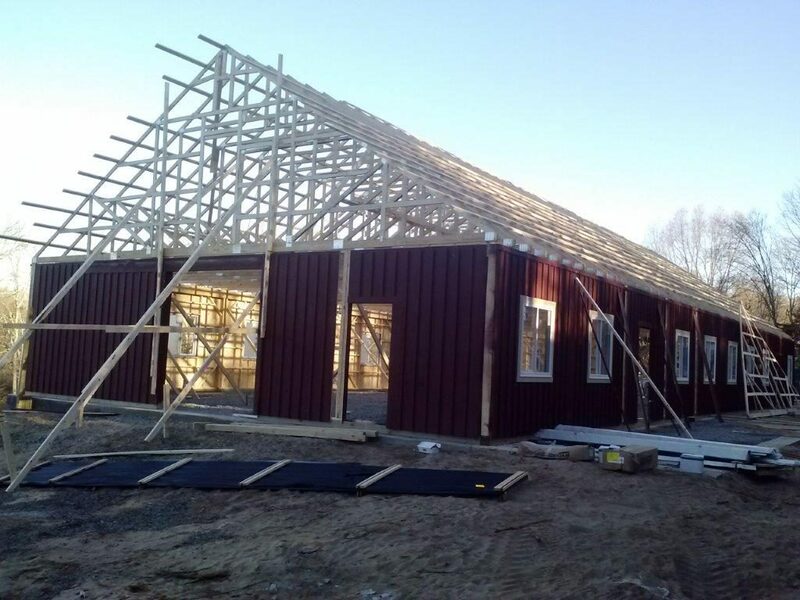 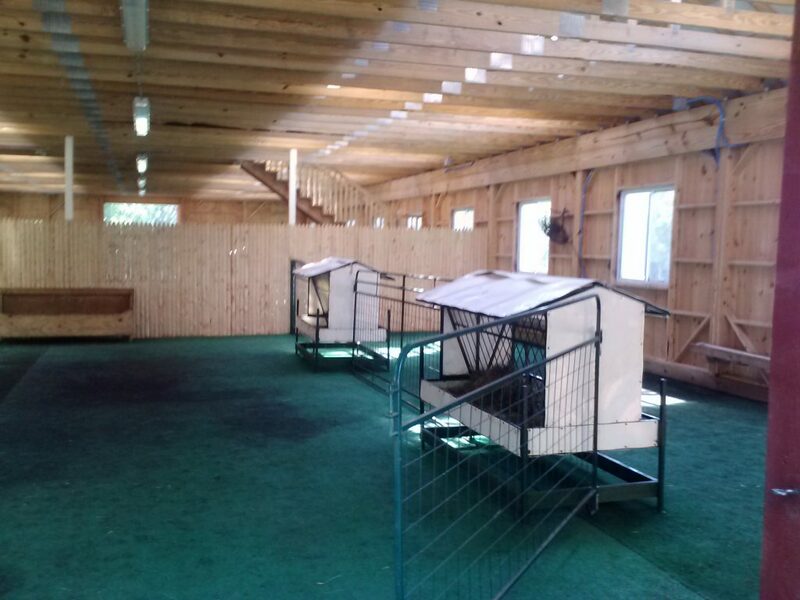 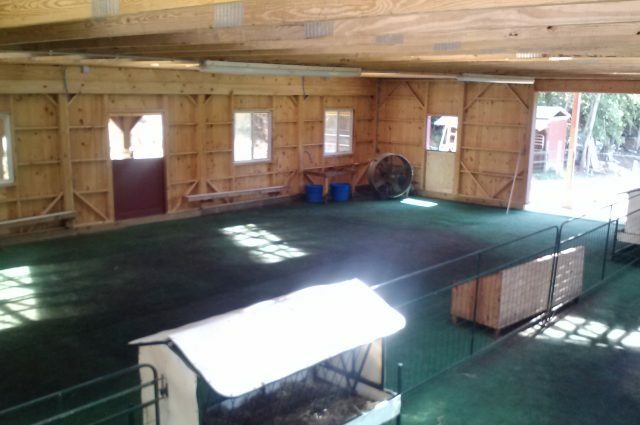 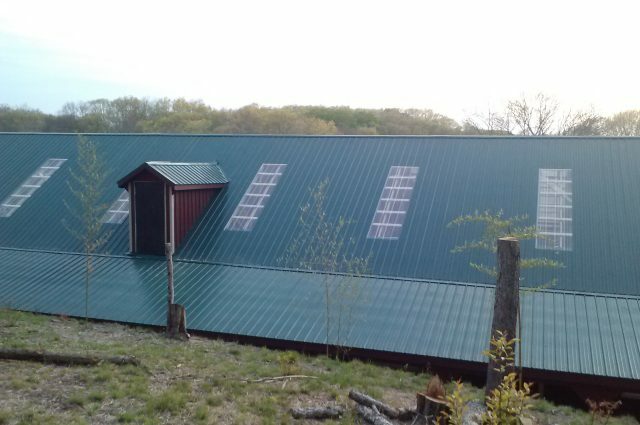 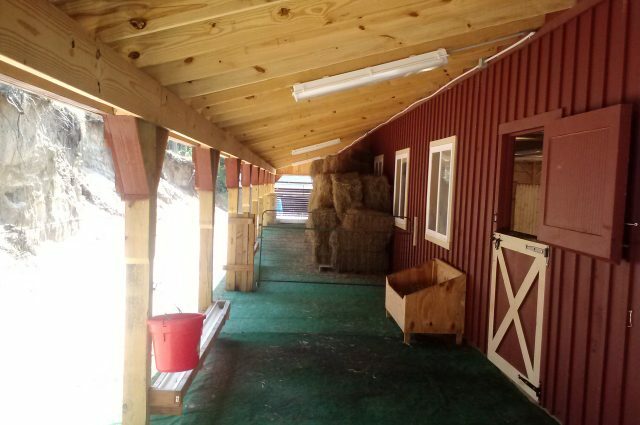 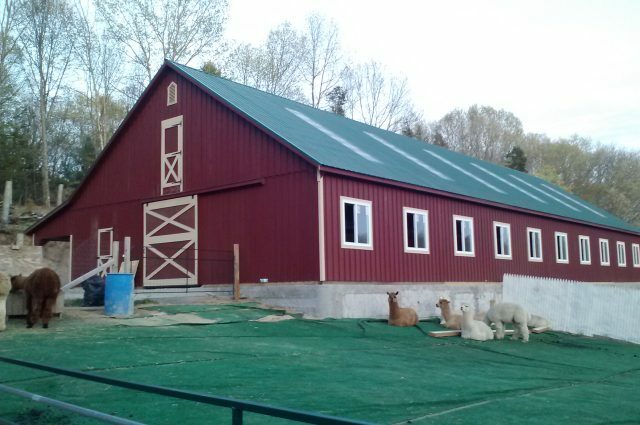 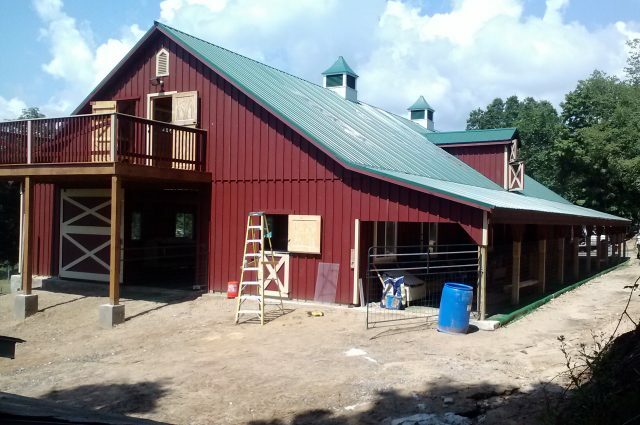 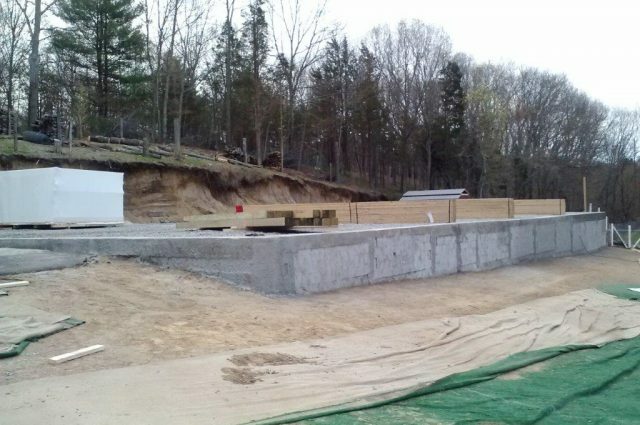 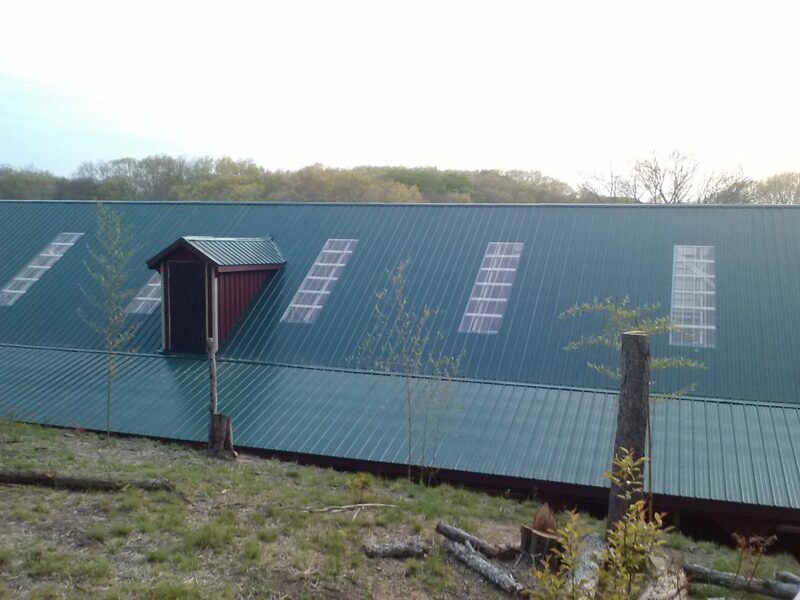 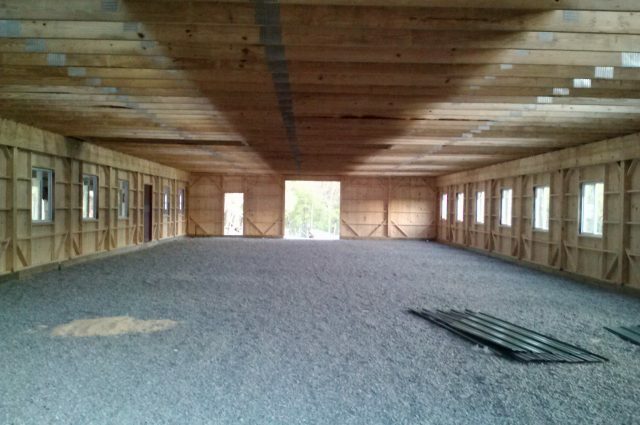 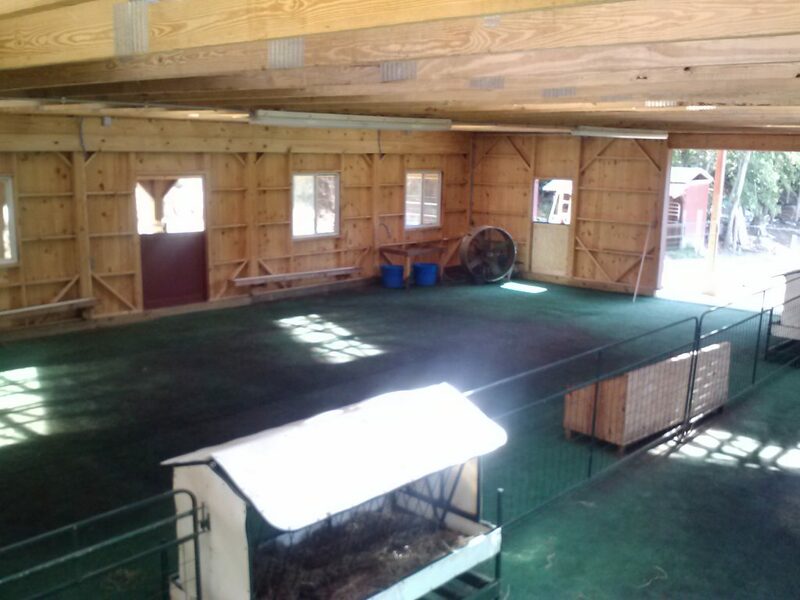 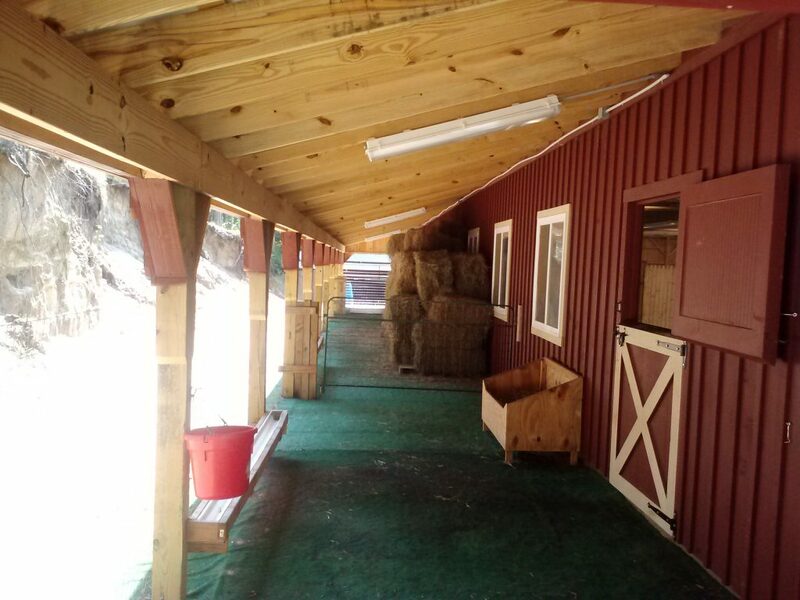 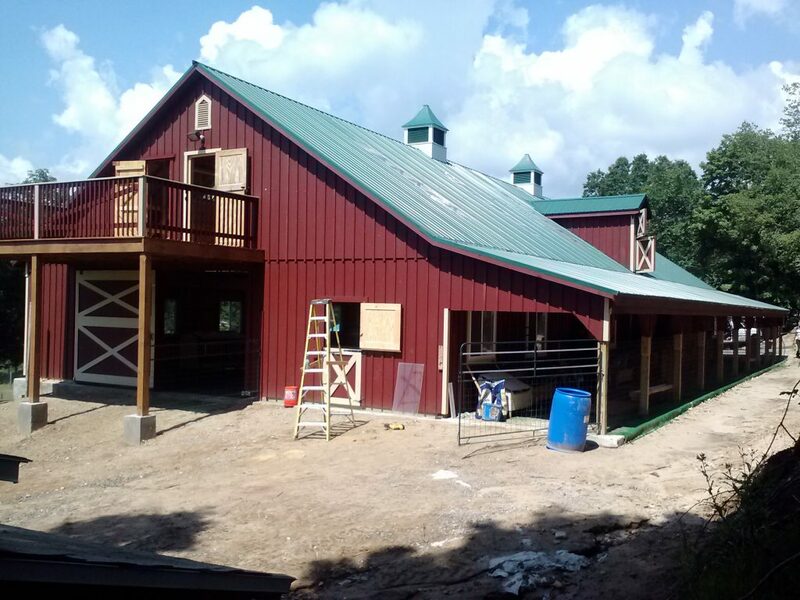 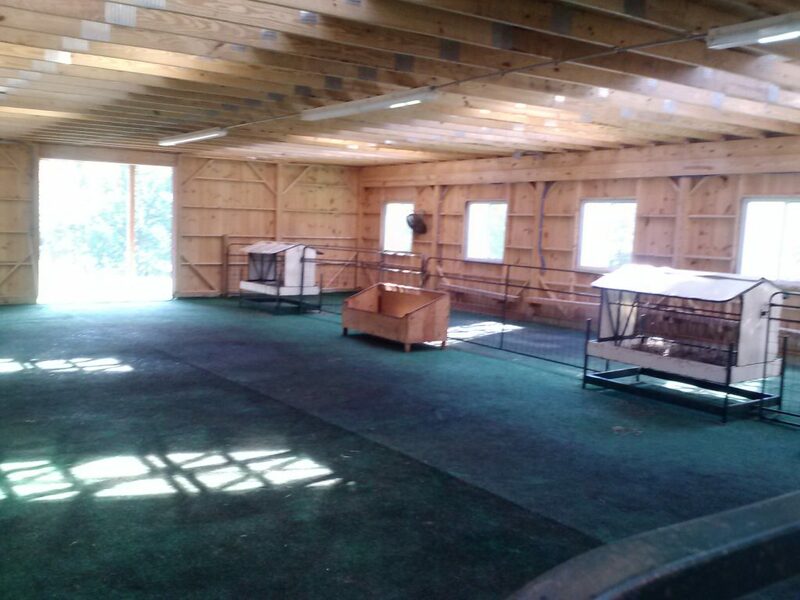 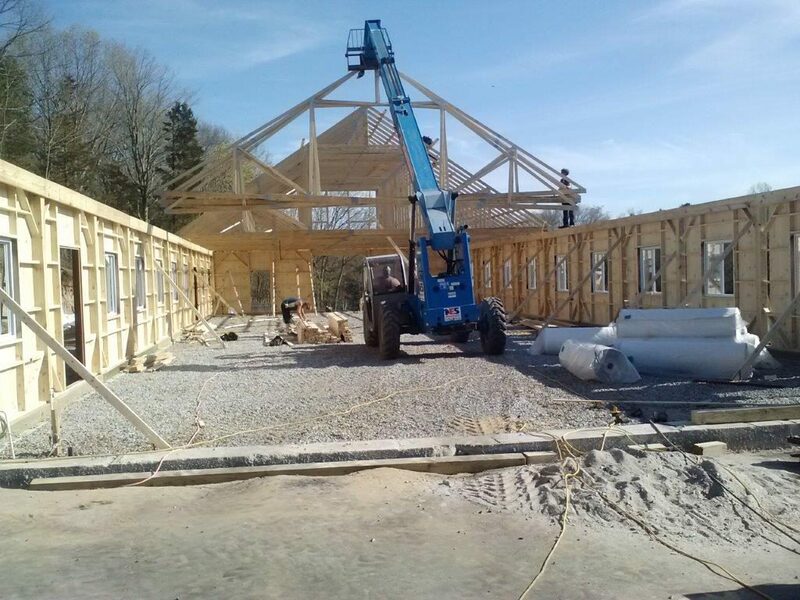 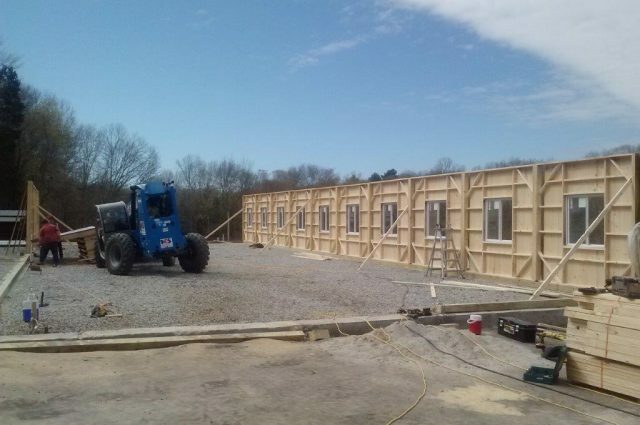 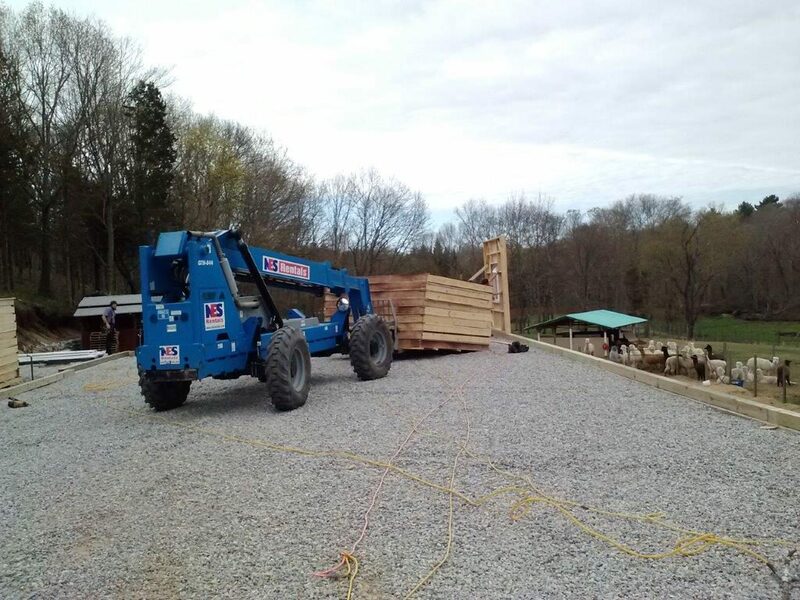 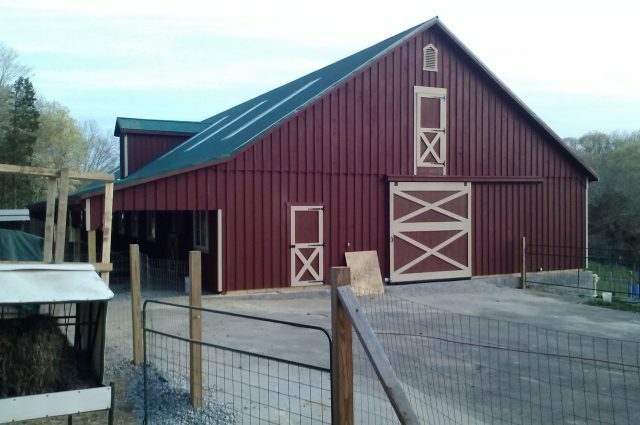 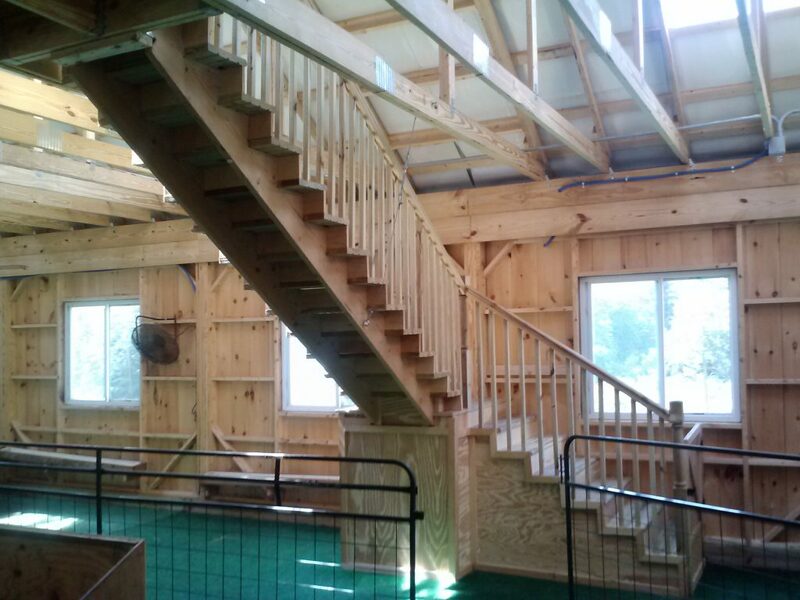 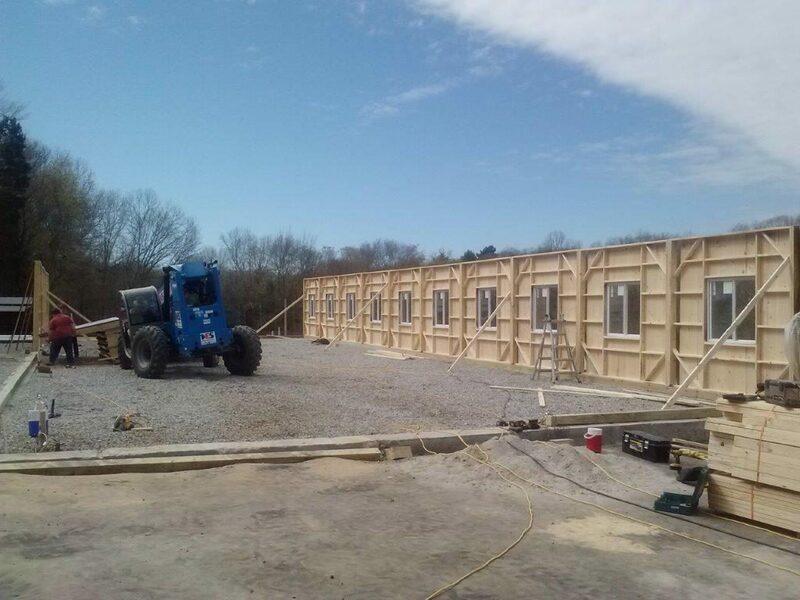 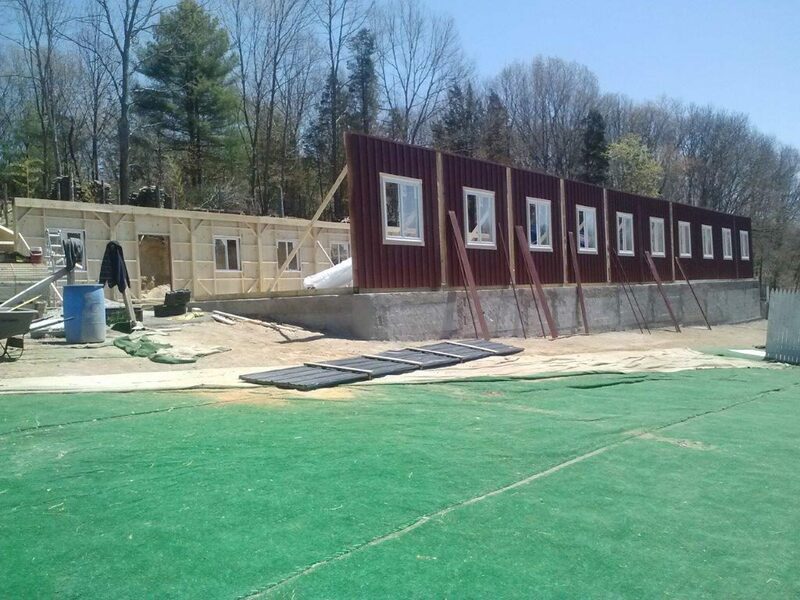 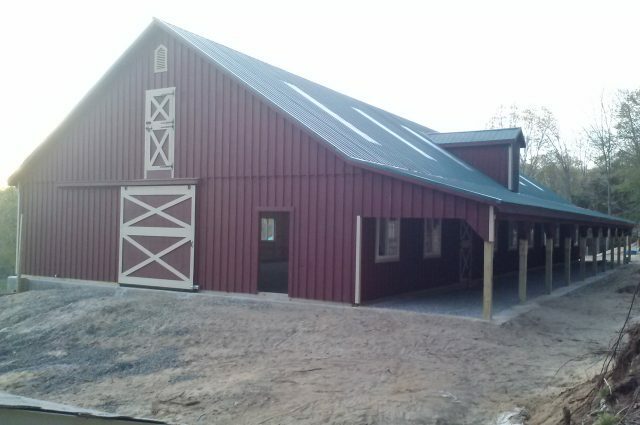 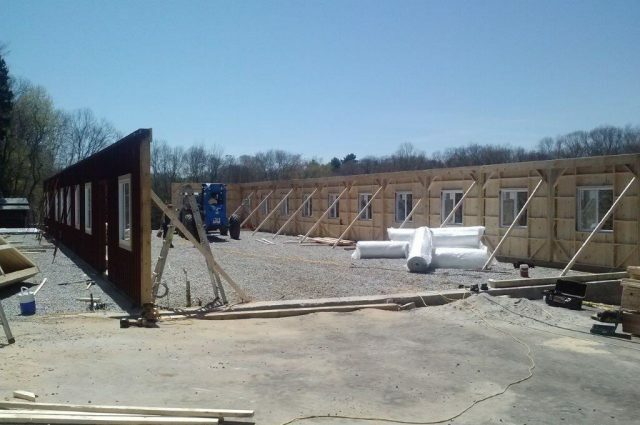 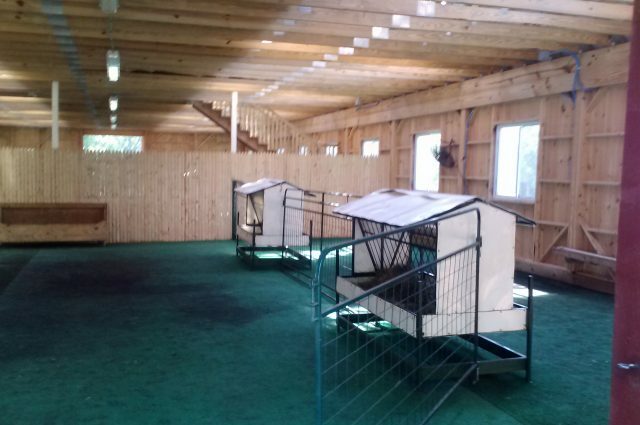 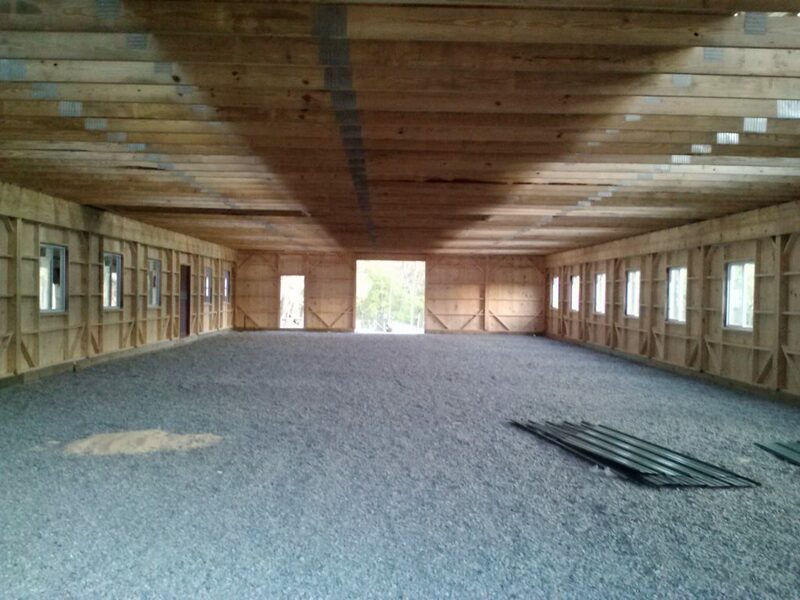 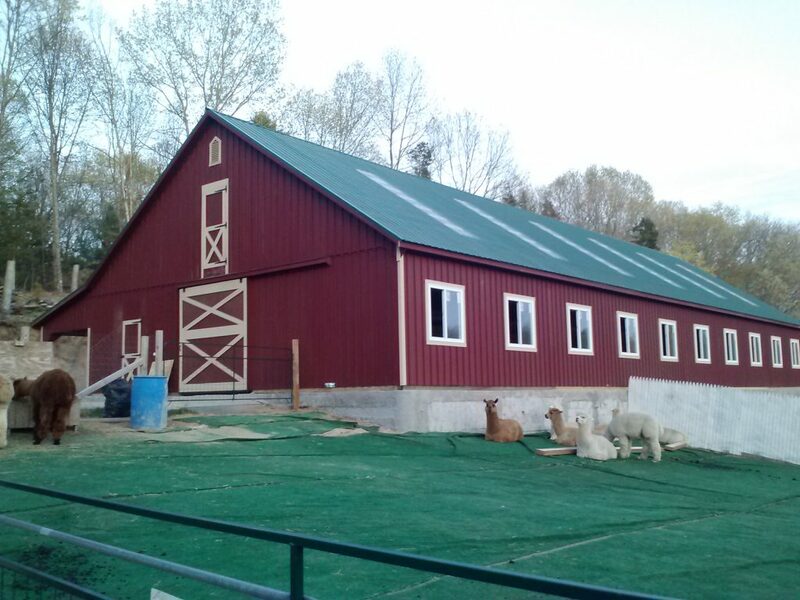 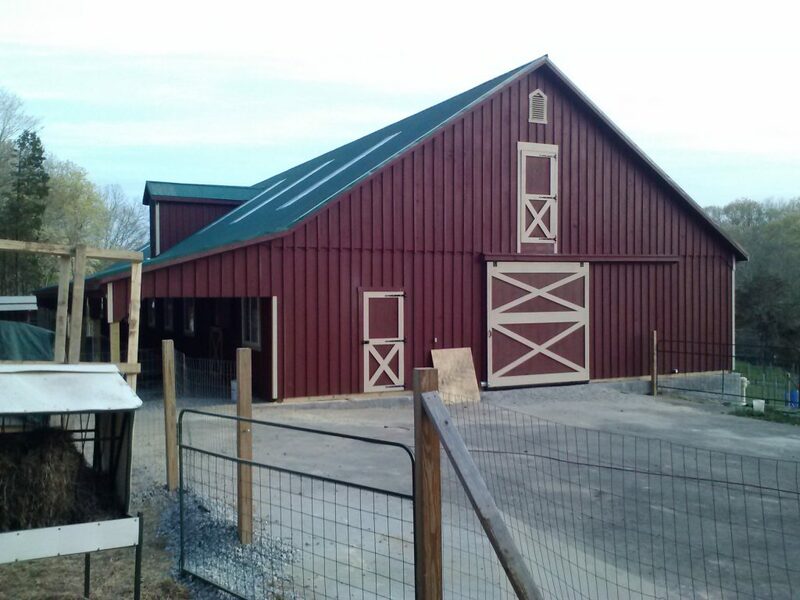 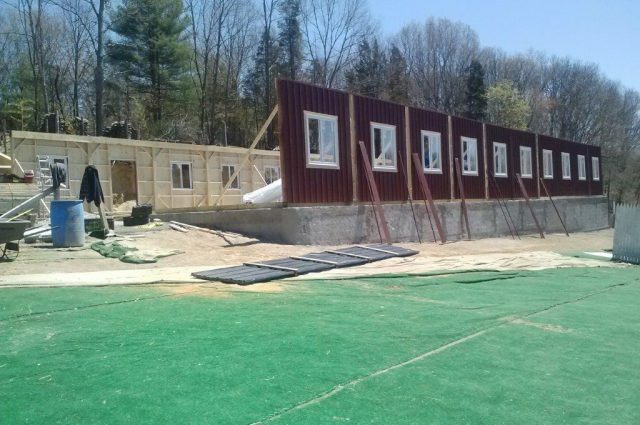 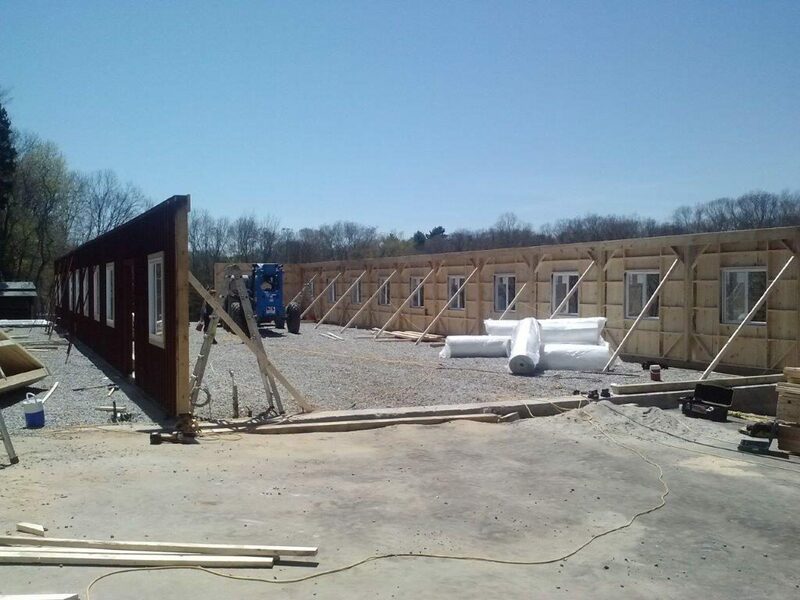 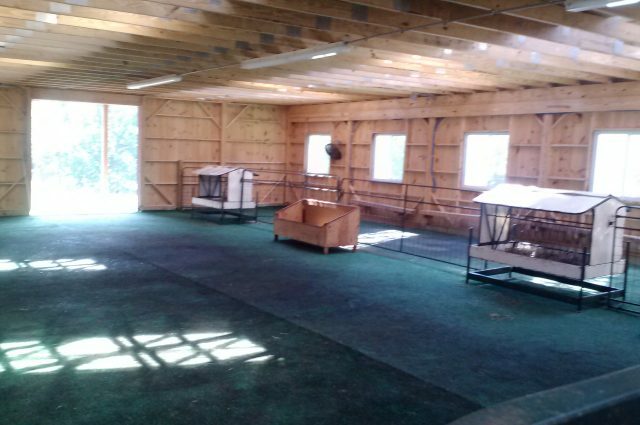 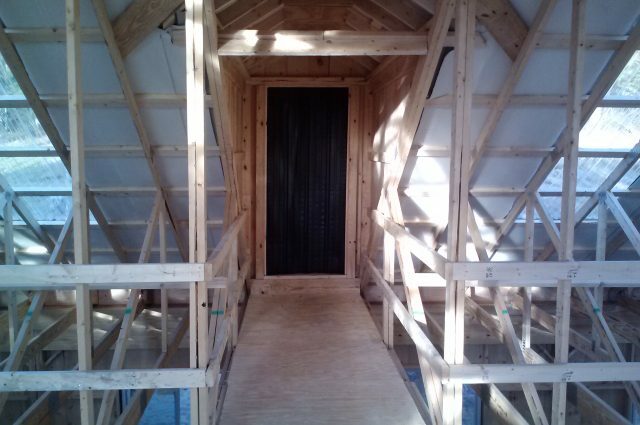 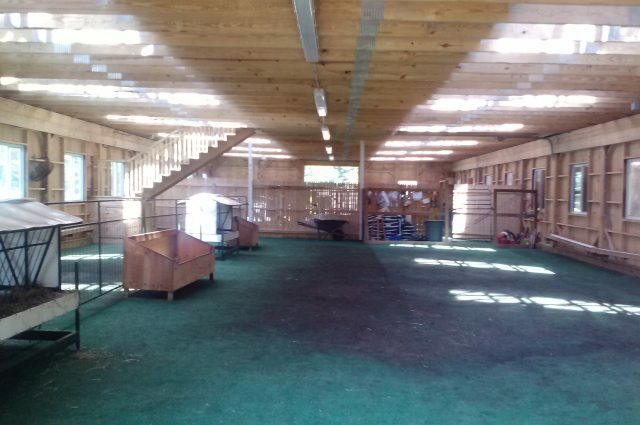 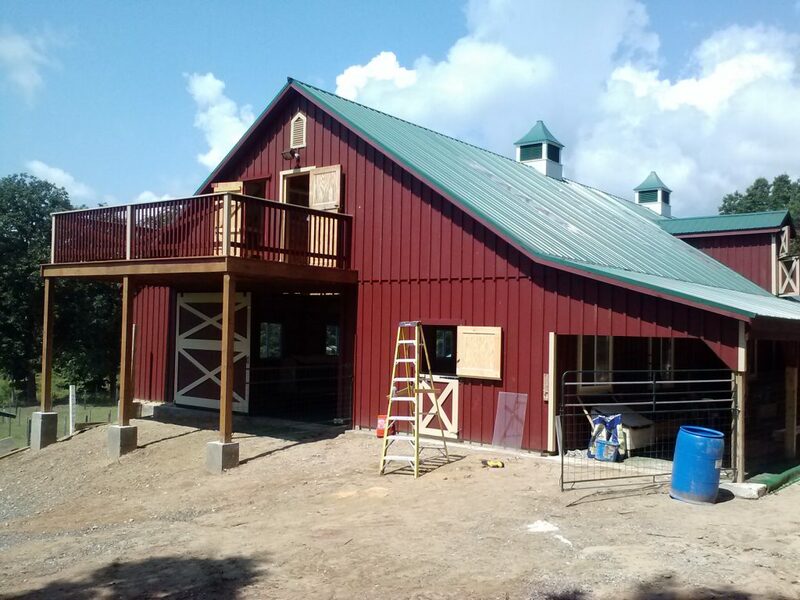 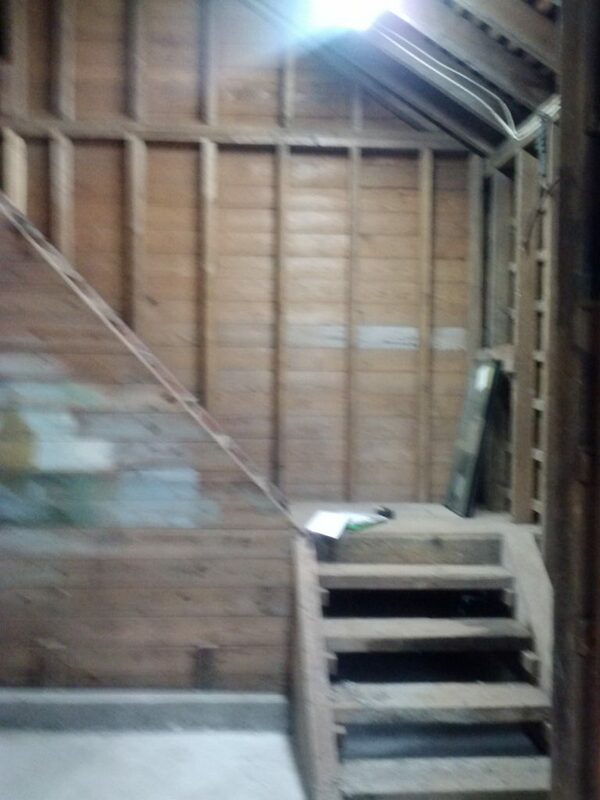 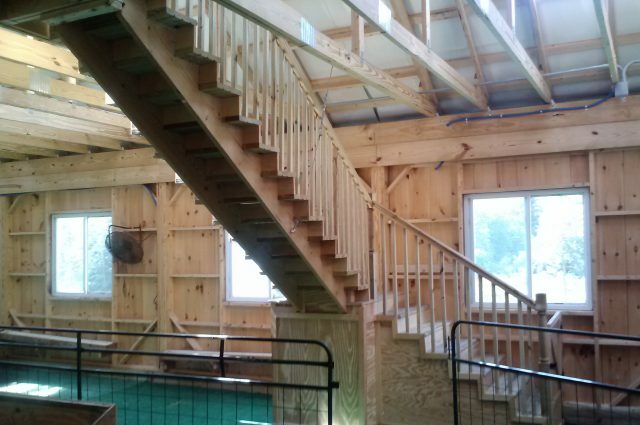 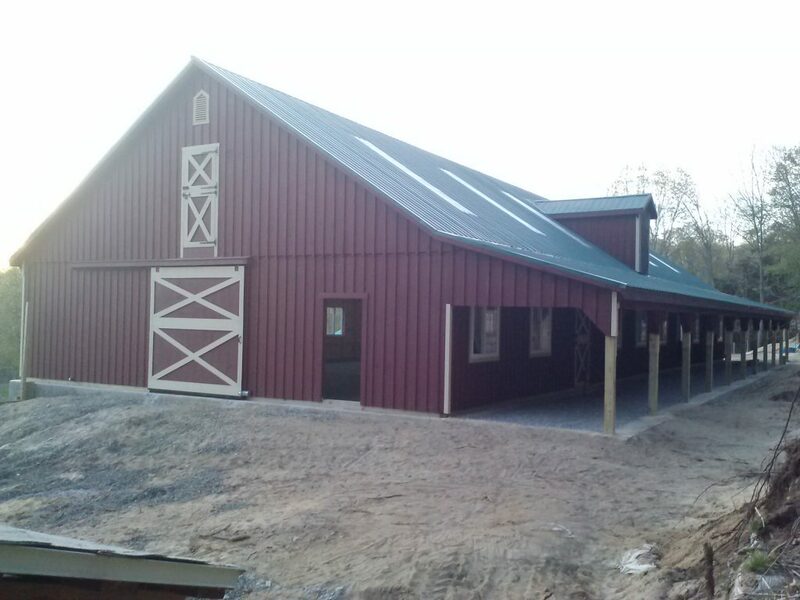 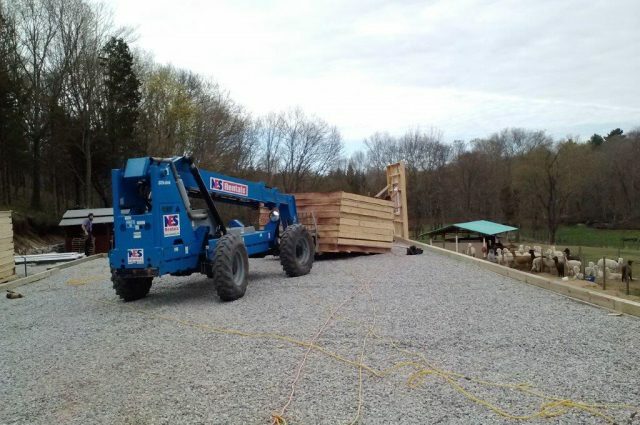 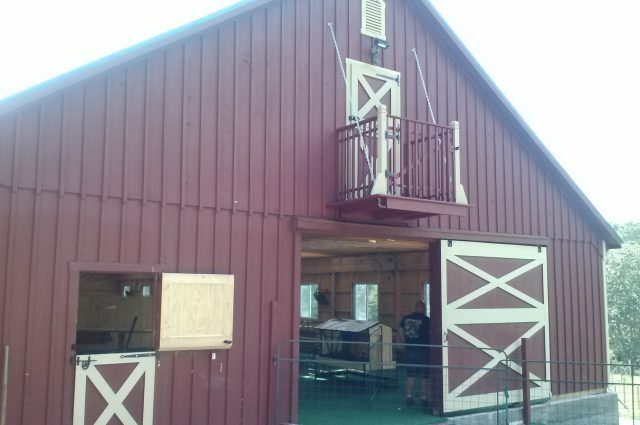 This 40×100 structure is a modular barn with a finished upstairs. 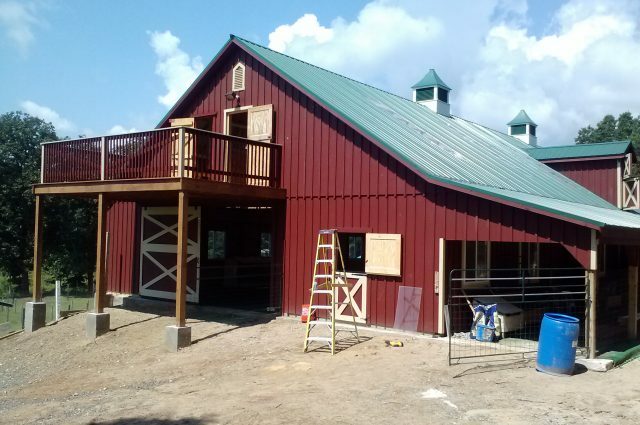 Its red painted siding with white trim is aesthetically pleasing, and the evergreen metal roof with skylights and two cupolas are too. 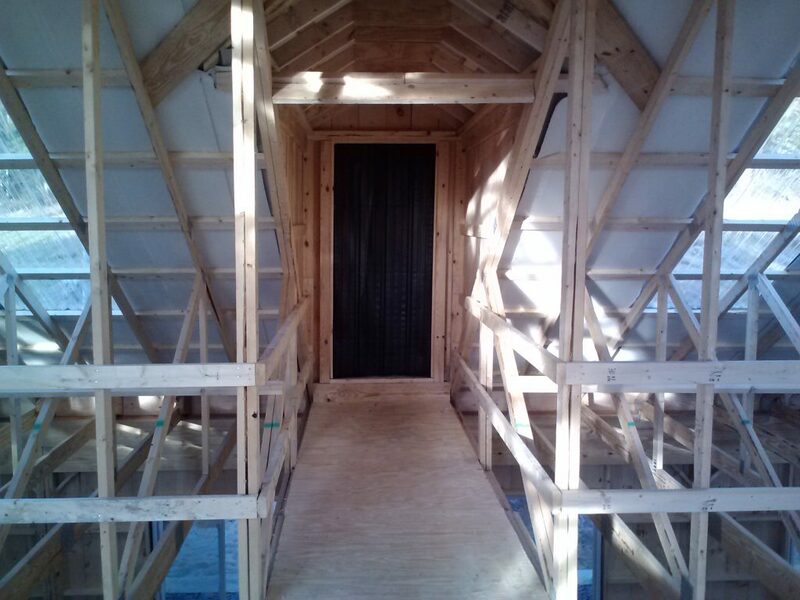 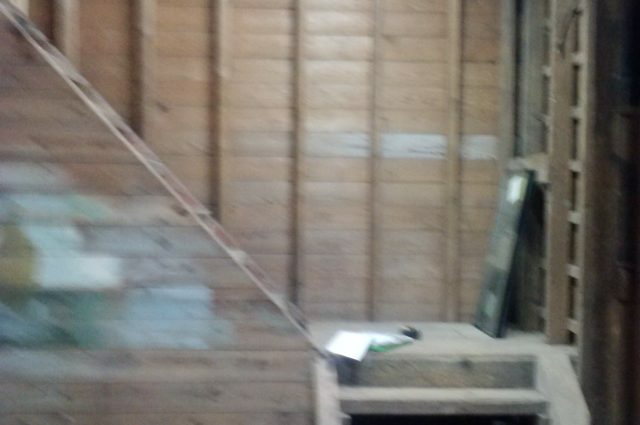 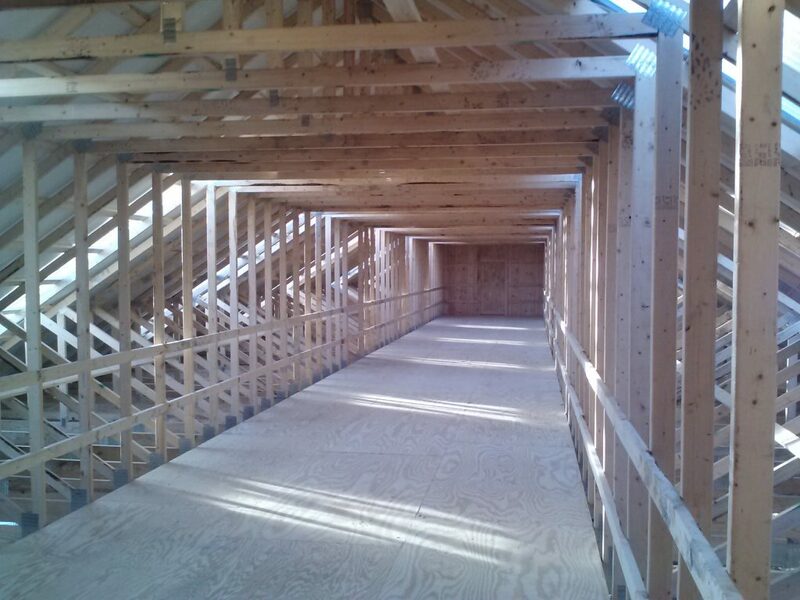 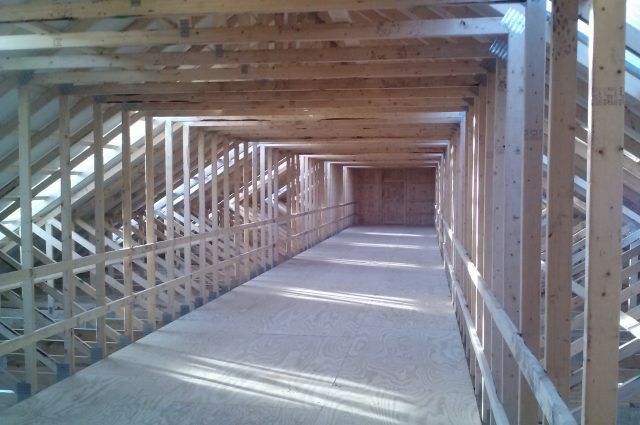 A 12×20 porch was built onto the loft access, and roof access was made available above the lean-to.